I've noticed this before, and it's always with characters who are very high in one stat over the other (Design/Technology). I wonder what it is supposed to mean, if anything. Is this a bug or is it a visual tip about the employee? 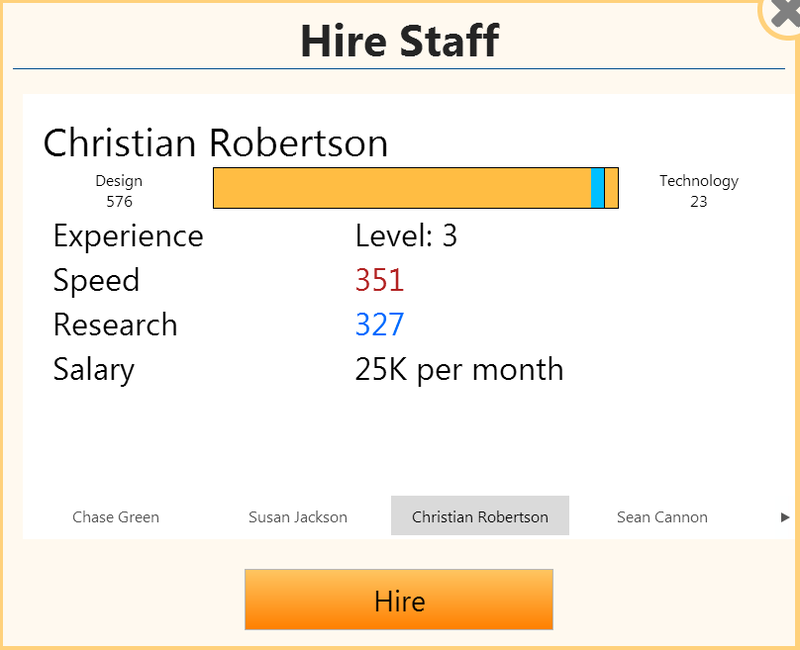 This is a visual bug - the numbers correctly detail the employee's skill level in Design and Technology but the bar renders incorrectly in the instance that an employee is highly skills in one but not the other. Not the answer you're looking for? Browse other questions tagged game-dev-tycoon or ask your own question. Does the workrate of an employee effect anything during the development stages? What are the effects of overworking or overloading an employee? Which platforms are popular with which target audiences? Which genre fits or works well with which platform? Do stats from your last company carry over? What effect does improving staff stats have?